Medium is a powerful blogging platform that is popular with crypto enthusiasts. 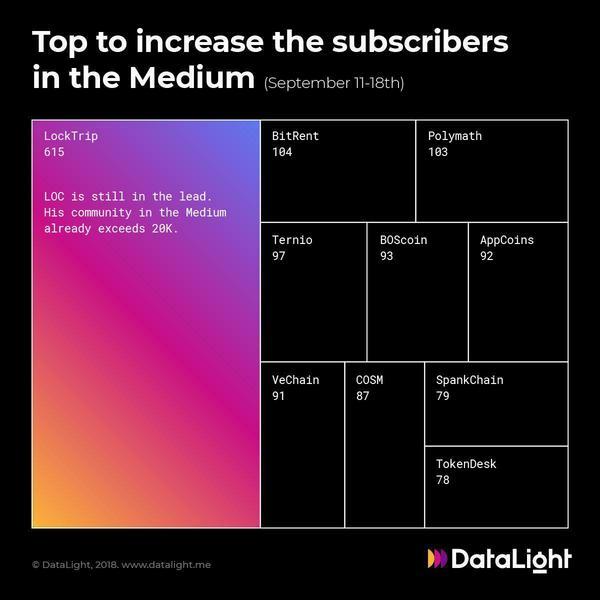 In a new study, DataLight takes a look at the cryptocurrencies that scored that the largest amount of Medium subscribers from Sept. 11 until Sept.18. LockTrip is in the lead with 615 new Medium subscribers. It is a Blockchain-based booking platform that aims to make traveling cheaper by eliminating fees paid to middlemen. 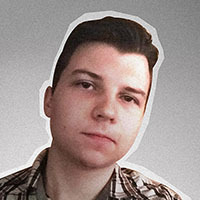 Its Medium community is rapidly growing, already exceeding 20,000 members. BitTent and Ternio trail LockTrip by a huge margin with 104 and 97 new followers respectively. VeChain, which is ranked 19th on CoinMarketCap, is the only big-name appearance on the list. The VET coin was also on another DataLight list of the top 10 cryptocurrencies by Telegram mentions.